Vedapuri Subramaniam is a lean, wiry, young entrepreneur of 76. His wife Meenakshi, after whom their website Meenakshimami.com has been named, turns 70 this year. Their day usually begins before sunrise at about 5am and winds up at about 10.30pm. “Yes, I do get tired,” says Subramaniam, with a touch of defiance, “but I don’t care. I don’t call this my home. This is my factory.” A large part of his Navi Mumbai residence has been turned into a processing unit of sorts. Rows of large, cylindrical plastic cans, filled with pickles, have been lined up. 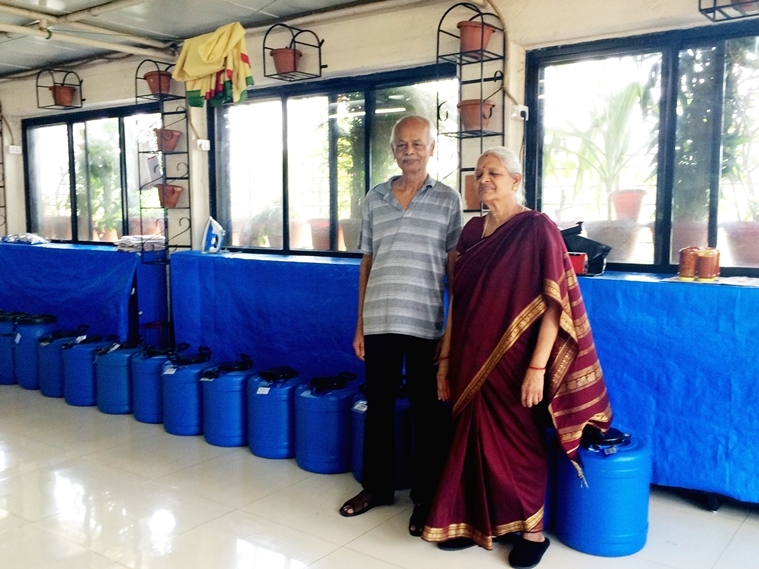 “We made avakaya pickle just last week,” says Meenakshi. The Andhra avakaya pickle has to be stirred every day for at least six weeks. The stirring bit is Subramaniam’s responsibility, while his wife checks for taste. “It’s almost like how guests at a wedding tell the host that the sambar needs a dash of salt, or the rasam is too tangy so some water can be added to adjust its taste,” says Meenakshi. Every pickle needs some minor adjustments – salt needs to be added or more oil goes in – and the couple makes almost 400kg of 11 varieties of pickles every year, including avakaya, gongura, kadu maanga, ginger, mahani (sarsaparilla), green chilli and lemon. 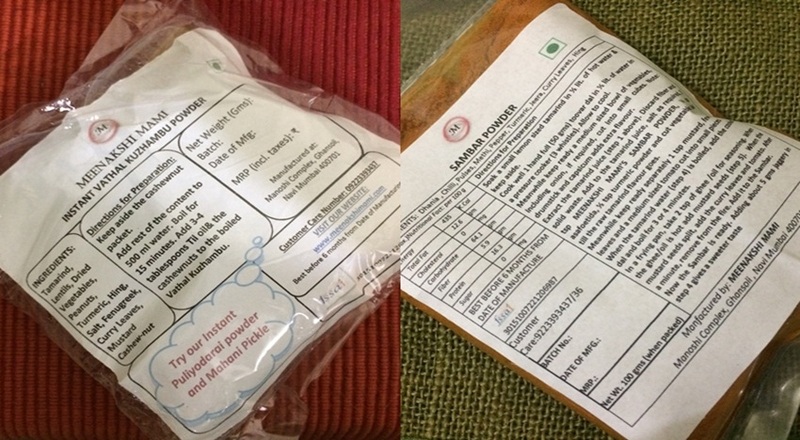 “My mother-in-law’s the official taster and my father-in-law does the rest from sourcing the ingredients to supervising the vegetables being cut to preserving them,” says Sonali, their daughter-in-law, who, along with her husband Shriram, helps out with the website and delivery of the products. The couple makes 11 different kinds of pickle and eight spice mixes. Subramaniam travels as far as Tiruchirapalli every year to source the mahani root for the sarsaparilla pickle. “Adivasis from the forests in Trichy pick these roots, and this is the most difficult pickle to make because cleaning it is tedious. But it is also one of our most popular pickles besides the ginger pickle.” Egged on by their son and daughter-in-law, he took his business online last year. 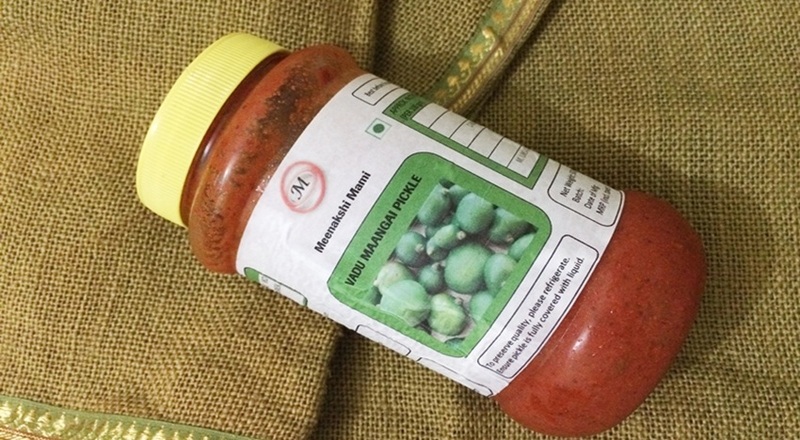 “It’s mostly Maharashtrians, Tamilians and Gujaratis from Mumbai who order our pickles.” Unlike most Andhra pickles available in Hyderabad, none of these pickles contain garlic and more reasonably priced than those on supermarket shelves. What is the couple’s favourite pickle? “Avakaya,” says Meenakshi, without blinking. 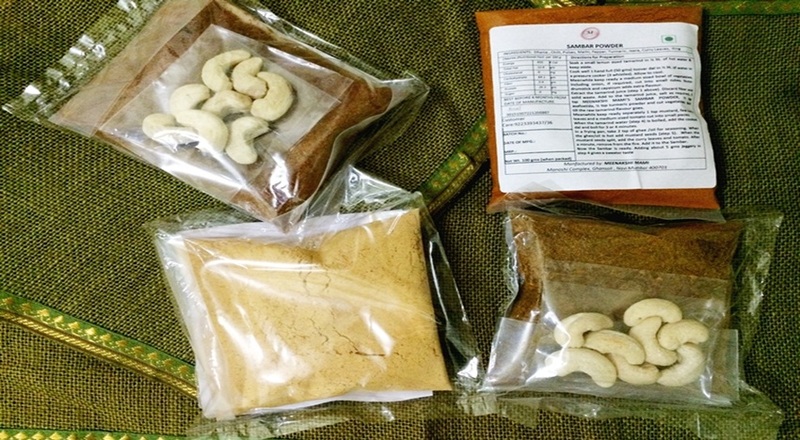 The vatha kuzhambu powder is used to make an instant gravy, tangy tamarind gravy, a traditional favourite in Tamilian homes, and so is the sambhar powder.